WHY does it cost over £700 more to bury a loved one here in Clydesdale than it does just a few miles away in North Lanarkshire? That is a question being asked as the ‘cost of dying’ in South Lanarkshire took another hike –the council’s charges for burials have almost TRIPLED in just five years. The total cost of buying a lair and burial in a public cemetery in Clydesdale is now £1995; in 2010 it was only £684. The total costs of using a council-run cemetery ‘over the border’ in North Lanarkshire is now £1,246, almost £750 less than here. He added that he thought the recent council decision to cut the Lanark Registry Office opening days from five to just two a week were just adding insult to injury. He said: “On behalf of my clients, I regard changing the death registration service for the whole of Clydesdale run from Lanark from five days to just Mondays and Fridays unacceptable. That office dealt with the registration of 500 deaths last year and so you have to ask why this cut in opening days is taking place. 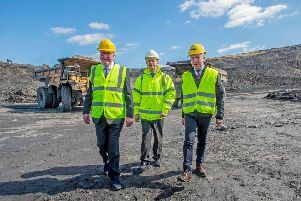 Explaing South Lanarkshire Council’s position, Stephen Kelly, Head of Facilities Waste & Ground Services, said: “The council has had to achieve significant levels of saving in recent years and that remains the case as it plans for 2015/16 and beyond. “This has resulted in difficult choices having to be made and, as part of the council’s efficiency programme, has included the increase in internment charges which is comparable with other charges.